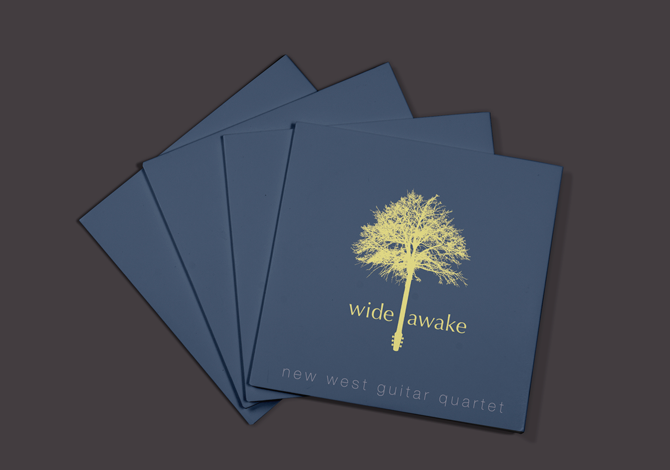 Cover illustration and full album design for the New West Guitar Quartet’s sophomore album: Wide Awake. Originally formed while in college under the Thornton Protege Program, New West quickly established themselves as one of the premiere guitar ensembles in the country with rave reviews, a global tour, and features on NPR’s Morning Edition. 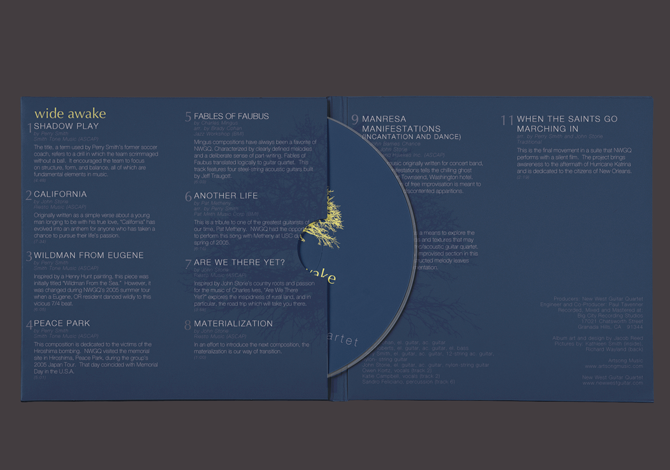 For their first album after graduating, the quartet wanted to show a more mature look that reflected how their sound had grown, while staying true to their roots. In a somewhat literal interpretation of their growth, we designed a tree, blossoming from the wooden roots of a Traugott guitar. The guitar head in the illustration is modeled after the specific guitars played by the band, hand made by master luthier Jeff Traugott.